Nothing says cozy like a cup of hot cocoa on a cold winters day! 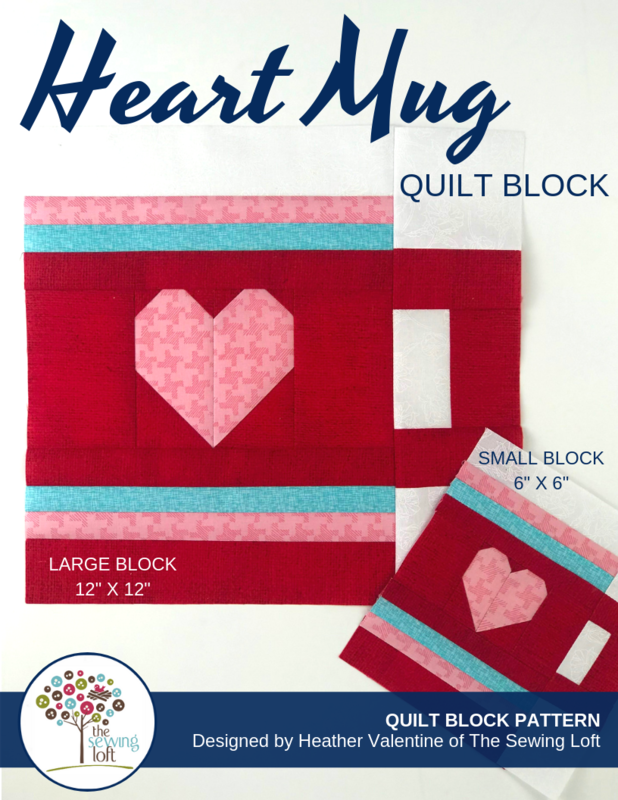 That’s why this heart mug quilt block just makes me smile. The weather here in North Carolina has been pretty on again off again this winter. We’ve had snow storms and sunny days and while the snow is amazing to look at, the cold gets to me. It’s days like these that make me want to sit back and relax in front of the fire with a cup of hot cocoa while snuggled under my favorite quilt and binge watch TV. 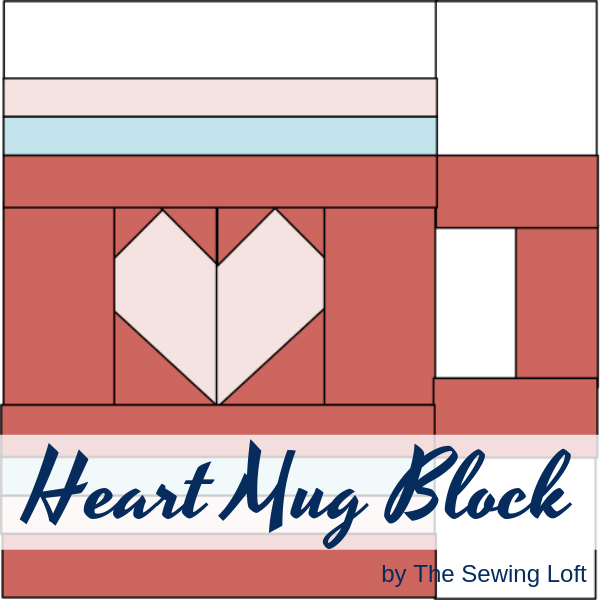 Just like the mitten quilt block, the Heart Mug quilt block has a sweet heart detail in the center. The construction is a simple patchwork but I’m not going to sugar coat it, there are a few smaller pieces on the 6″ block. For that reason, I am saying this block is perfect for the confident beginner. Pattern instructions will be sent directly to your inbox after checking out. Then you are all set to grab your fabrics and start sewing. 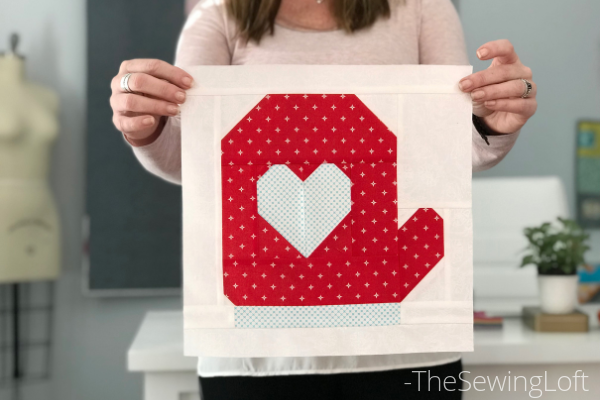 Looking to learn more about quilting & sewing? Be sure to sign up for our newsletter HERE and never miss a stitch! Daily Sewing Tips, Everyday Projects and Fantastic Inspiration delivered straight to your mailbox!